Huge Batman [email protected] figure! Based on his appearance in the 2017 Justice League film. Stands 28-inches tall, 10 times the size of a regular [email protected]! The Bat is back in this impressive [email protected] figure from Medicom. 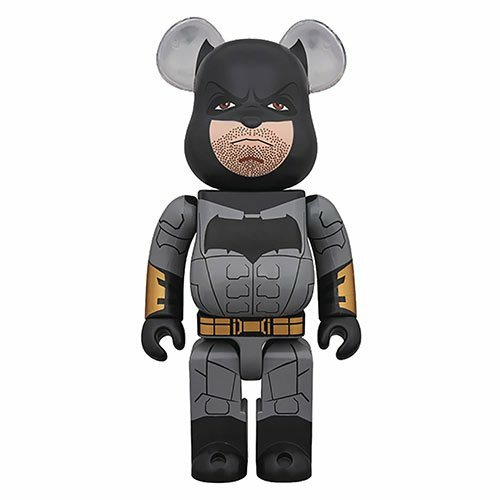 Based on his appearance in the 2017 Justice League film, this humongous Justice League Batman 1000% Bearbrick Vinyl Figure employs the distinctive styling of this fan-favorite figure line to create an ursine Batman that stands 28-inches tall, 10 times the size of a regular [email protected]!